Receive 15 Extra Minutes on Your First Massage and a Welcome Package Valued at $100! Save on Our Tropical Escape Massage. Perfect for a Winter Stay-Cation! Kristine sets the mood with draperies, flickering light, soothing music, and a sense of privacy that puts you miles away from any stress. Her massages are deep and effective. I usually leave feeling "blissed out". Her prices are excellent! Kristine respects your privacy. Your email address is never shared with anyone. Great for yourself or as a gift for someone special! Have a Gift to Buy? We offer ongoing specials, promotions and contests on social media. Like/follow us to be kept in the loop! Special rates on this page are as-is, GST not included, and not to be combined with any other offer or coupon. Promotion is for regular priced treatments only. If you book a Spa Massage or a Monthly Promotion on this page as your first session you may use the New Client Promotion on your next massage provided it is booked within six months of your initial visit. Book our New Client Promotion in April to Receive the same rate on all future visits for one year! Unwind with a deeply relaxing session. Our Signature treatment is the ultimate in Mind-Body bliss. Let your stress go as your practitioner creates a unique improvised treatment designed to relax the body and calm the mind. 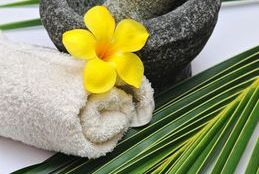 Complimentary custom blended essential oils just for you and hot towels are added to increase the relaxation process. New Client Special is not valid in combination with this promotion. Feeling buzzy? Is the new year's back to work frenzy getting you down? 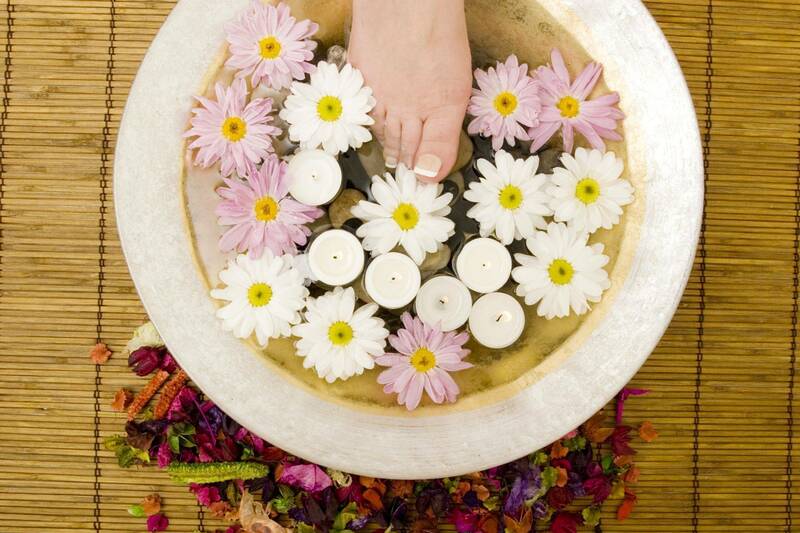 Session begins with an detoxifying herbal foot soak and scrub. Treatment includes an upper back, shoulder and neck massage designed to treat problem areas that suffer from cell phone and computer overuse and finishes with a hand and forearm massage, designed to release tensions from typing and texting. Hot towels will be incorporated in the session to assist in the relaxation process.